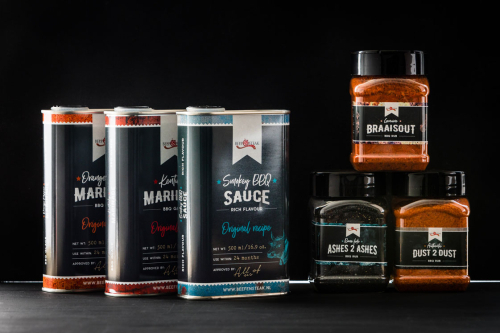 Years of experience inspired us to develop our own line of rubs and sauces. Ashes 2 Ashes Dry Rub. Dust 2 Dust Dry Rub. Beef&Steak Smokey Sweet BBQ saus.